Soft leather pouch made with a pebbled white leather. Burst of color on flap is our interpretation of fireworks. 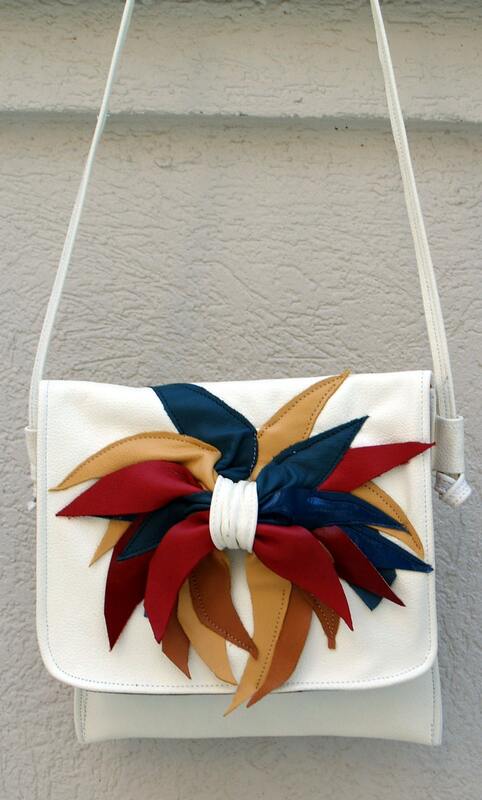 This handbag is a beautiful show stopper, with a fun and funky edge. Pouch has a funky colorful lining, one inside pocket and a magnetic closure. The measurements are: length is 9-1/2", heigth 9-1/2", 18" drop. Divinely inspired.